Is the Isco dream dead once and for all? Will Real Madrid’s transfer ban finally put the D in Isco, killing the dream of many City fans once and for all? It’s certainly looking dead if the club’s power brokers are unable to overturn a two-window punishment imposed by FIFA on Thursday for their illegal methods of recruiting non EU minors. Both Madrid and Isco’s camp haven’t exactly been shy in the last few weeks in discerning whether our interest remains a constant in a player who snubbed us at the last minute two seasons ago. Real will now discover over the next nine days from their lawyers if their appeal will fall on deaf ears or, like Barcelona, are at least able to kick the can a little further down the road. 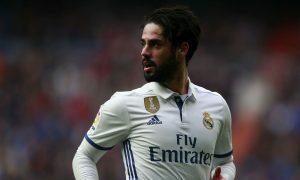 Isco had made it abundantly clear he wants more playing time, and the removal of Rafa Benitez and the appointment of Zinedine Zidane as head coach went a long way to cooling his ardour. It will certainly be interesting, however, to see what dynamic exists at Madrid between now and the end of this month, should their legal recourse prove a waste of time. The Madrid press insist none of their stars will be sold if the handcuffs remain tightly fastened. But such is the very nature of life at the Santiago Bernabeu, it is also mooted Madrid could get busy before the month is out. The pertinent question must then surely be, where do Real really rank Isco in the grander scheme, and whether this dance is always destined to be out of step for City?